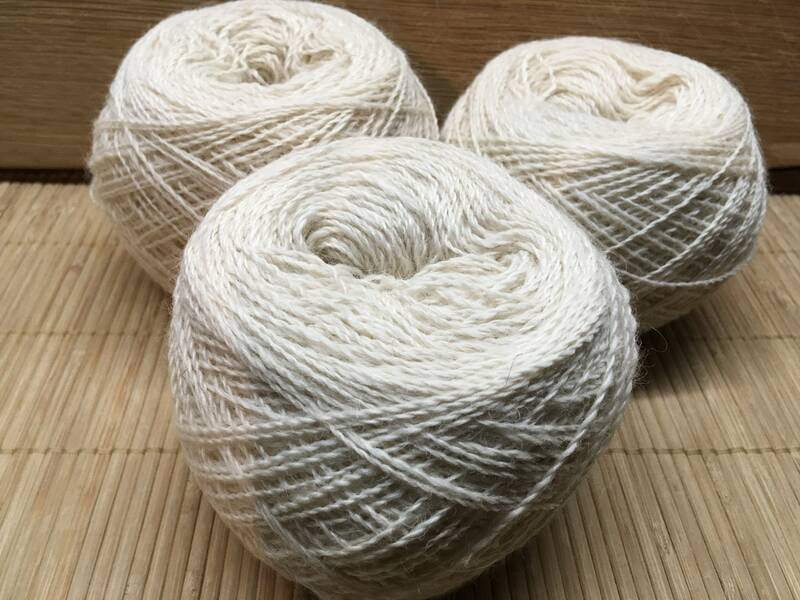 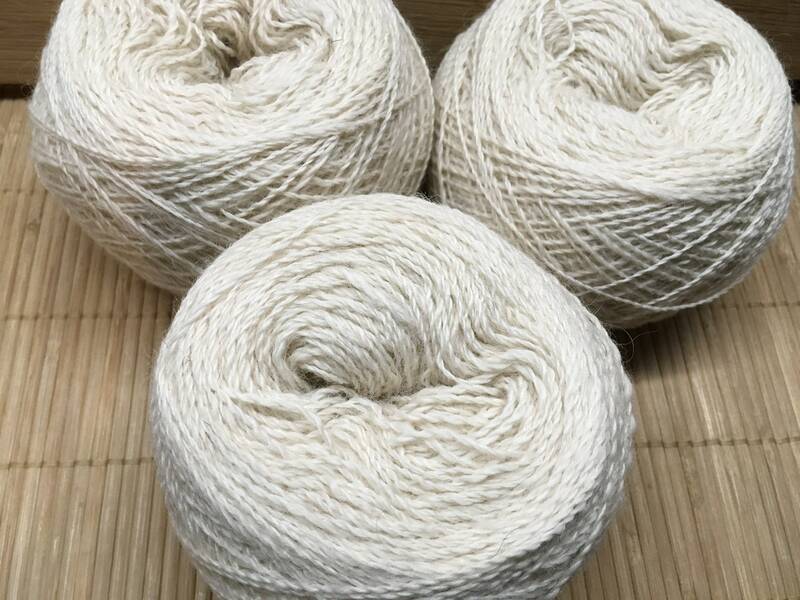 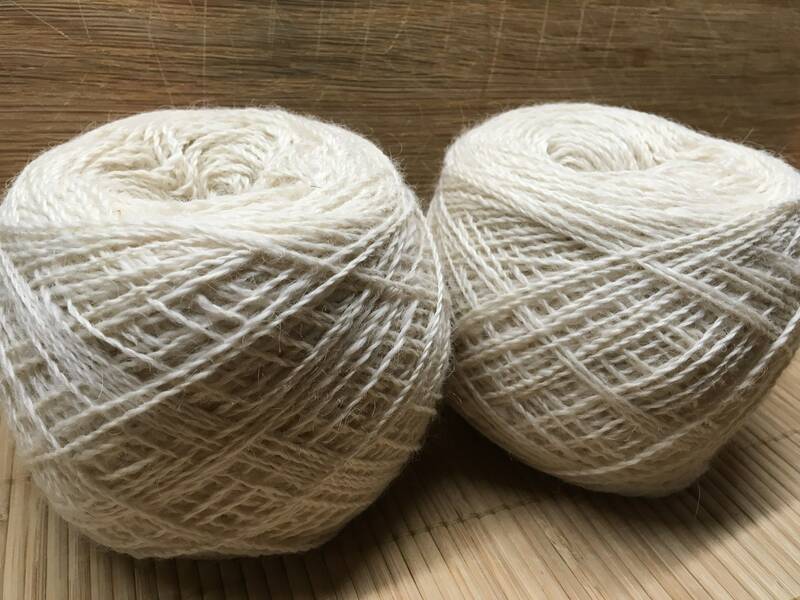 This special pale cream yarn is from Elijah, the gentle giant of our flock who has been quite poorly this past winter but is now hopefully on the mend! 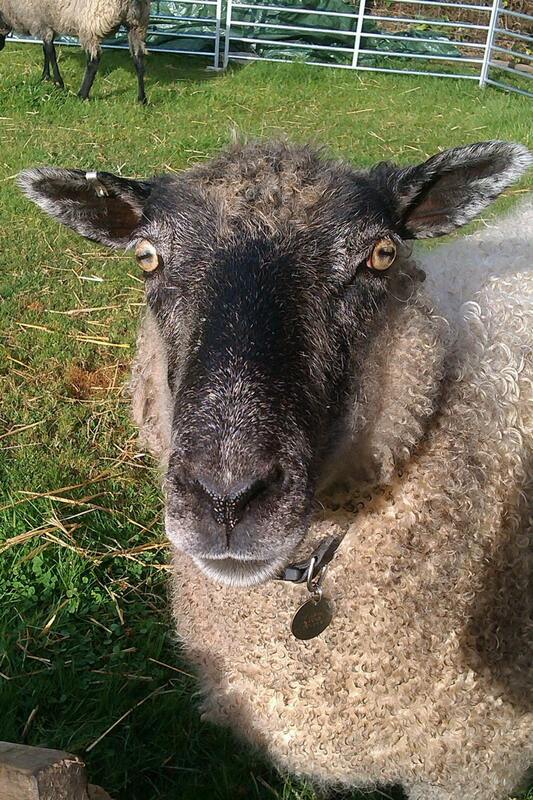 Elijah is a very sweet character who never uses his considerable size to unfair advantage. 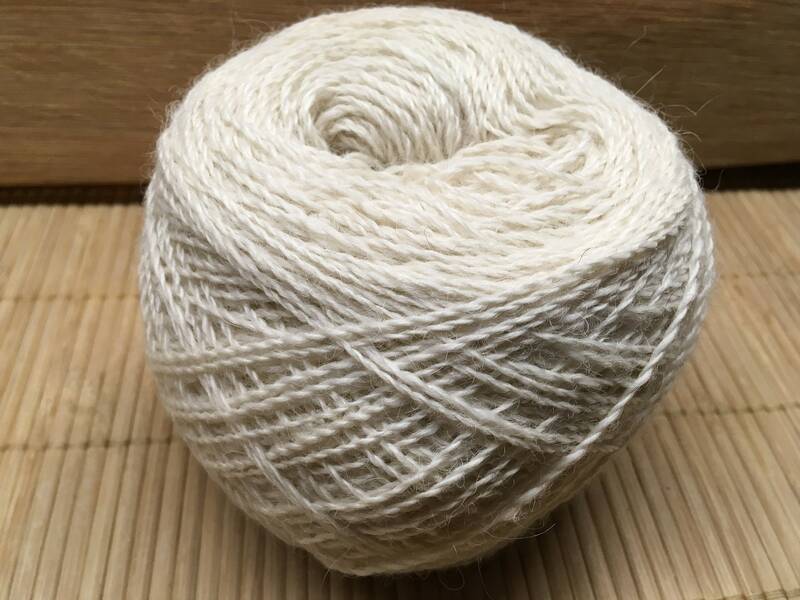 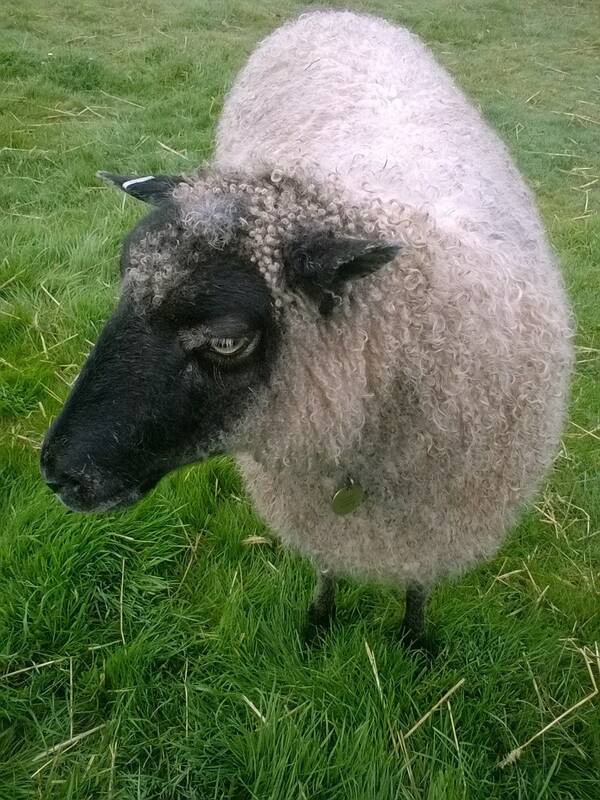 His fleece is plentiful and lustrous, and this particular blend lightens his natural warm cream shade by mixing white alpaca fibre with his long Gotland/TeeswaterX locks.